When the weather gets a little cooler, the scarves come out. Scarves are all the rage this Fall from solid vibrant colors, animals prints to florals. 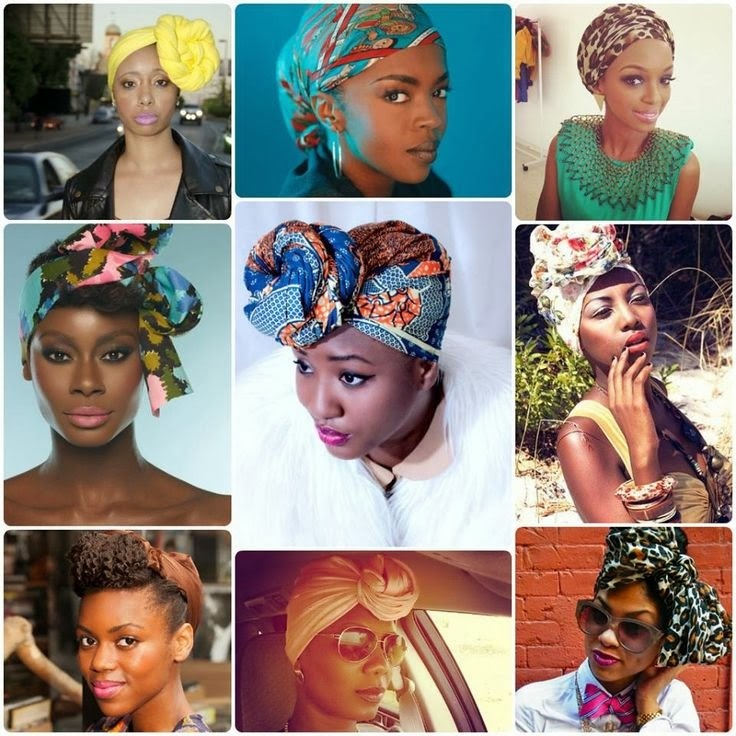 Scarves are a naturalista's perfect accessory, because they can be used for warmth around the neck or head. If you are a scarf connoisseur, we want to see your best looks. Send your scarf pics to info@kurleebelle.com to be included in our Fall fashion looks. 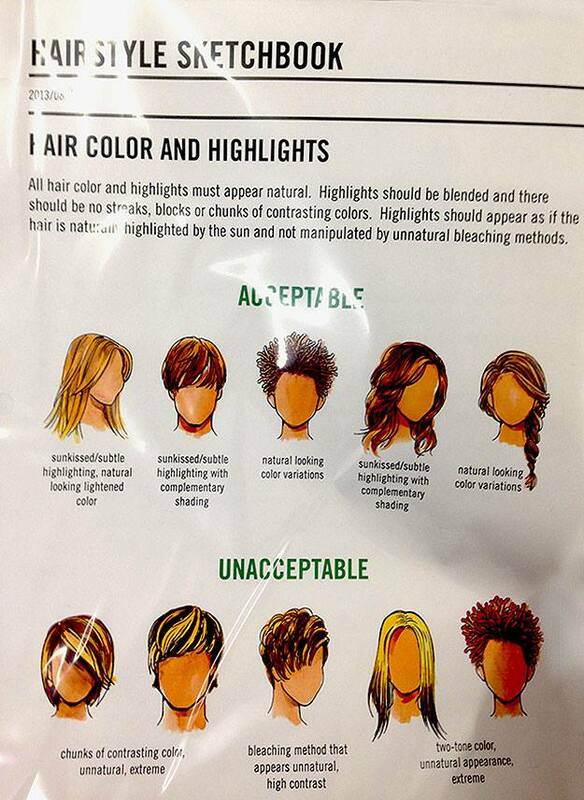 Natural Hair | We Don't Like To Brag But.... Our Products Are Pretty AMAZING! 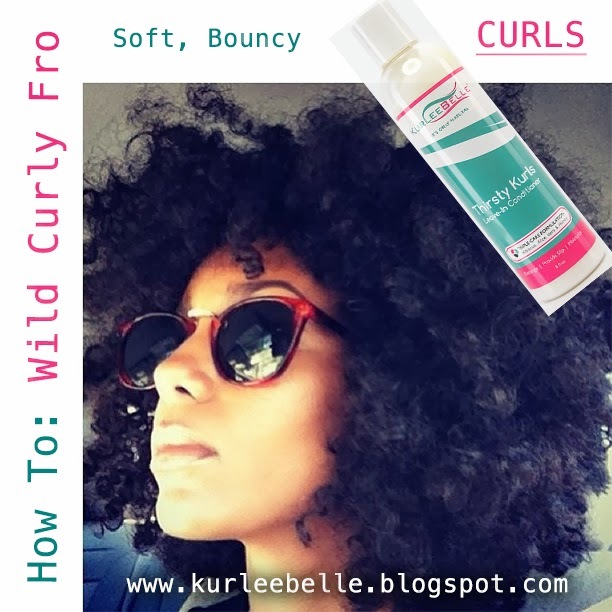 A great leave-in conditioner, is the key to a soft, bouncy curly fro. -On freshly shampooed hair, apply a lightweight leave-in conditioner like Thirsty Kurls Leave-in Conditioner that detangles, moisturizes and does not weigh hair down. -After hair is detangled, separate into small to medium size twists. For added definition, feel free to use a styling product (Kurl Defining Creme) in particular a creme to add lasting definition to the twists. -After all sections are neatly twisted, apply flexi rods. Your hair's length will determine the size of the flexi rods you use. The smaller the rods, the smaller the curl, vice versa. For large curls, use jumbo flexi rods. -Apply flexi rods to individual twists. 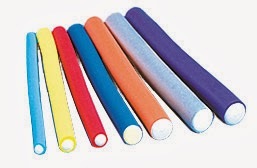 When rolling the twist onto the flexi rod, roll in the direction that the hair is twisted. If you twisted all hair moving away from the forehead then you should apply your flexi rods moving away from the forehead. This step is very important as it will not disturb the curl pattern but will enhance your look. TIP: When rolling twists onto the flexi rod, you will start with the ends first. Try to get the twist to lay as flat as possible on the flexi rod, especially the ends of the twist. Wrap the ends of the twist around at least twice to make sure the twist is secured onto the flexi rod (the ends are the most critical part of this style as this is where definition will be most apparent, so you want to make sure the ends lie flat and tucked for the perfect curl). Once the ends are tucked flat around the flexi rod, begin to move up the twist to the root, placing the twists in a circular motion around the rod. Once at the root, bend the flexi rod in place, wherever it feels comfortable. Repeat until all twists are attached to flexi rods. Using the flexi rod with twists will stretch out the hair, for an elongated look. 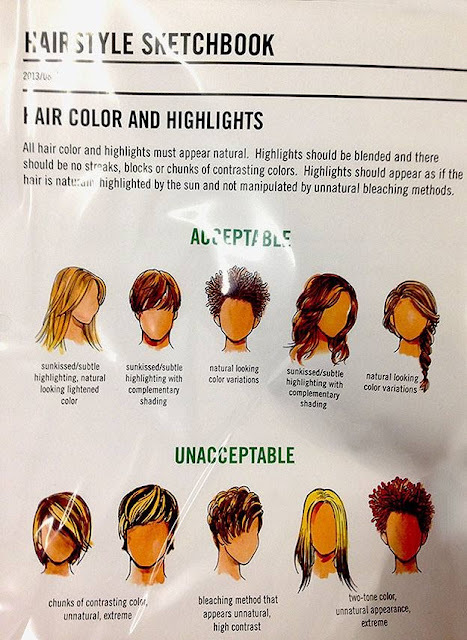 -Sit under hooded dryer or let hair air dry. Once hair is completely dry, use a light oil like Kurlee Tropical Oils Blend, to unravel the hair off of the flexi rod. Rub oil onto hands and take down rods then unravel twists. Using the oil, will reduce frizz and add shine. For a fuller or wilder fro, separate twist again after unraveling the first two strands. TIP: To create a fuller fro, use an afro pick at the root of the hair, coming up about two inches up. The afro pick will ruffle the hair so that any parts or sectioning is not visible. You can also use your fingers to rub along the scalp to close in any areas where parts or sectioning is visible. This look is perfect for medium to long length hair. To prolong the life of your curly fro, you can re-twist at night and sleep with a satin bonnet. Have You Tried This Look? Any Tips? Do you have a look you want to try but don't know "How To" achieve? 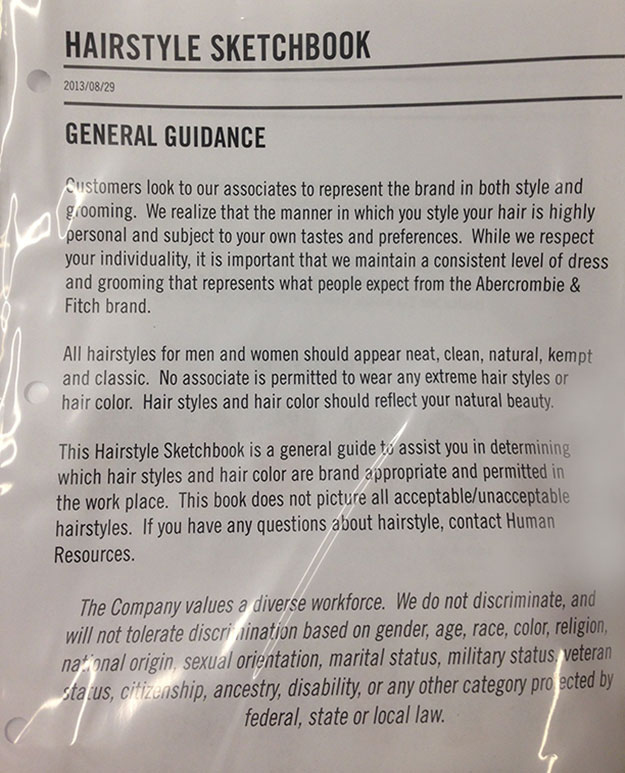 Send a photo to info@kurleebelle.com--> Subject: How To. Kurlee Belle is featured on Black Girl Long Hair and The Mane Objective Blog in 9 More Incredible Black-Owned Natural Hair Businesses to Support. We are humbled to be included on the short list of Black-Owned successful businesses. 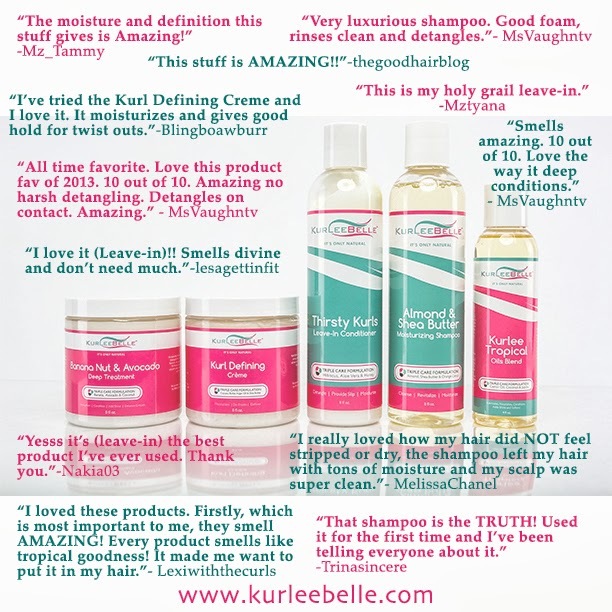 Thank you Christina of The Mane Objective for including Kurlee Belle in your feature. 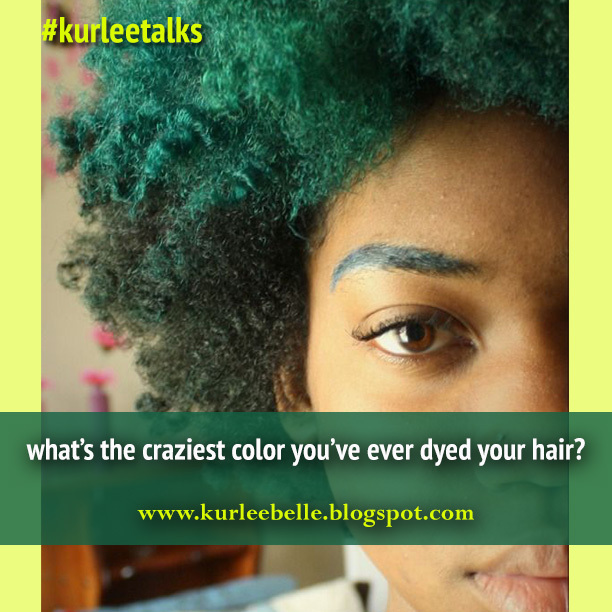 KurleeTalks: What's The Craziest Color You've Ever Dyed Your Hair? Today's KurleeTalks is all about COLOR! We often use color to spice up our look, but what happens when color goes wrong? Tell us your CRAZIEST color stories! Tag us in your color photos by using #kurleetalks! Fashion Forward Rihanna aka BadGalRiRi (on Instagram) is definitely a trendsetter. From her oval shaped nails, fashion sense, make up and hair. RiRi's fans can't seem to get enough of her sense of style. 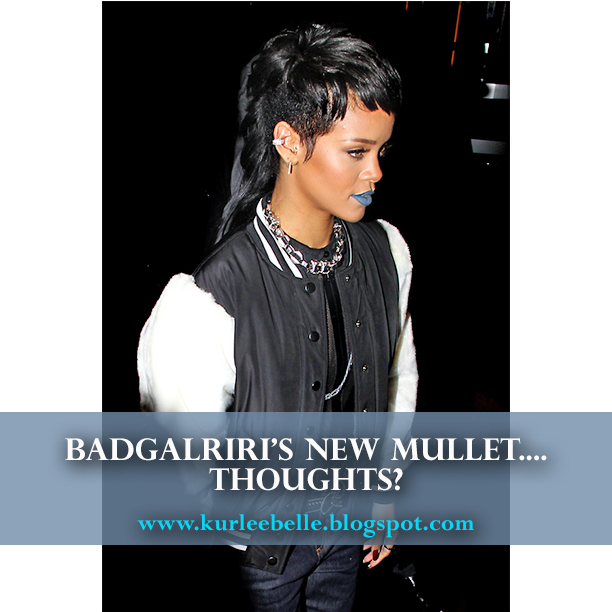 During New York's Fashion Week, Rihanna was spotted rocking a Mullet that took us back to the 80's. What are your thoughts on RiRi's new hair? 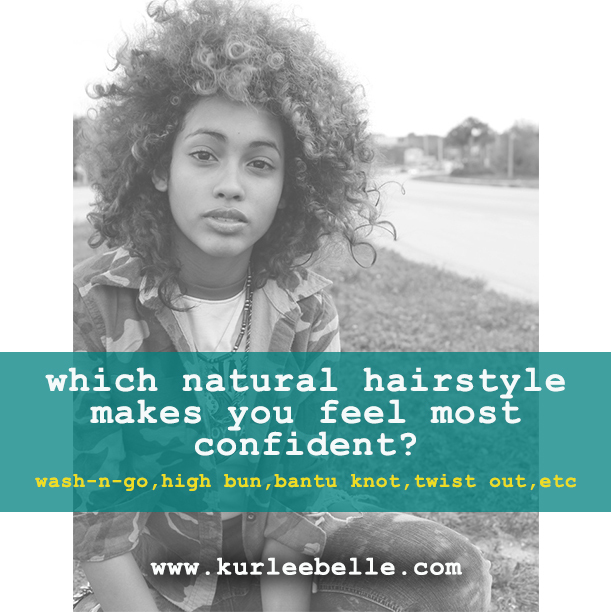 Which Natural Hairstyle Makes You Feel Most Confident? Kurlees, do you watch The Talk? 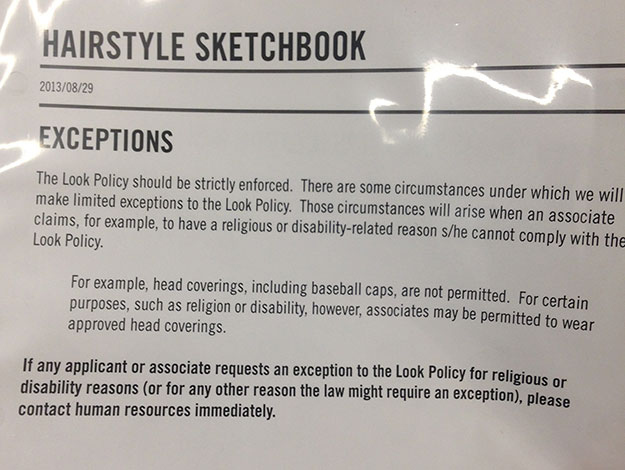 After this story, I am guessing that many of you will boycott the show. 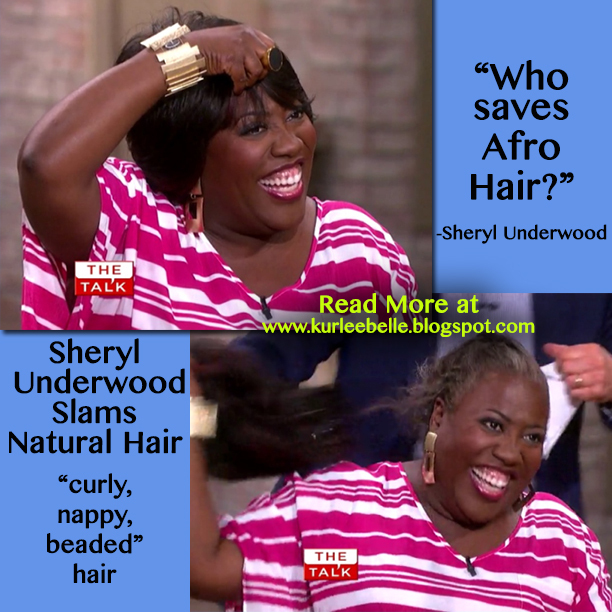 In an encore presentation of The Talk on August 30, a CBS talk show, host Sheryl Underwood, had a few choice words about natural hair. During a discussion on the show, it was noted that supermodel Heidi Klum, saved her biracial child's hair after a haircut. The child that Heidi Klum had with ex-husband Seal, had a huge afro before the hair cut. 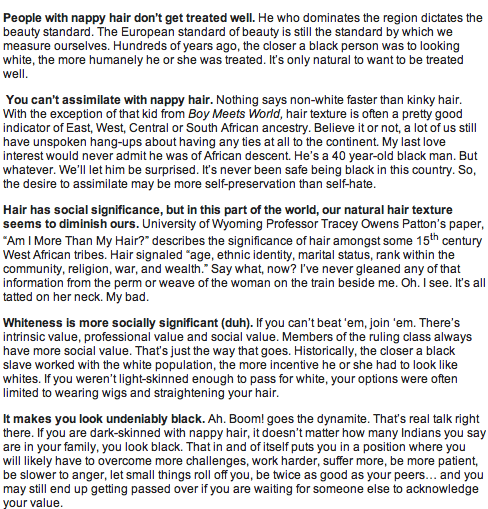 Sheryl disgusted by this revelation, went on to say, "Why would you save Afro hair? 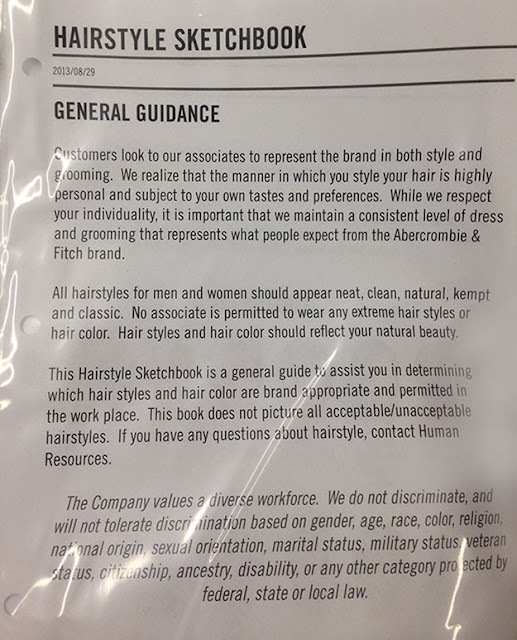 "to add insult to injury, she proceeded with no one goes to a hair shop to ask for that "curly, nappy, beaded" hair. 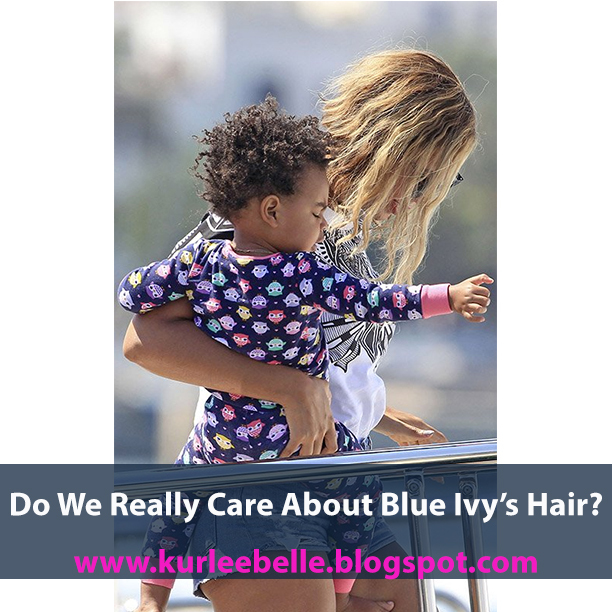 Co-host of the Talk, Sarah Gilbert, added to the discussion that she too saved her children's hair which Underwood responded to with "probably some beautiful, long, silky stuff" implying that Gilbert's child's hair texture is better than that of an afro hair texture.